Highly respected Dutch coach Guus Hiddink looks poised to take on a leading role in China’s aggressive push to finally become a force in international football. The 71-year-old was pictured this week — glasses perched on his nose and taking notes — watching China’s under-21 side beat Myanmar 1-0 at home, amid reports that he is set to be formally appointed coach to lead the team into the Tokyo Olympics in 2020. When confirmed by the Chinese Football Association (CFA), the former Dutch national team manager will join another well-known veteran, the Italian World Cup winner Marcello Lippi, in China’s coaching set-up. The 70-year-old Lippi has been in charge of the senior side since 2016 and overseen a steady improvement, although China still failed to reach the World Cup in Russia and languish at 75th in the FIFA rankings. “Although the Chinese Football Association has not officially announced it, the famous coach Hiddink has begun to enter the role of head coach,” the state Xinhua news agency said, noting that he remained in the stands during the under-21s’ win over Myanmar on Tuesday. Soccer News said that Hiddink — whose last job was a caretaker spell at Chelsea in 2015-2016 — met the players before the game. The Dutchman will be paid just less than four million euros ($4.7 million) a year after tax, Chinese media have said. He is being brought in as the Tokyo 2020 Games loom into view and as the Chinese government pushes an ambitious agenda to ramp up football from grassroots all the way to the senior team. Like Lippi, Hiddink comes with a wealth of experience at club and international level. In addition to his two emergency stints at Chelsea, he also coached Real Madrid, PSV Eindhoven and Valencia, among others. 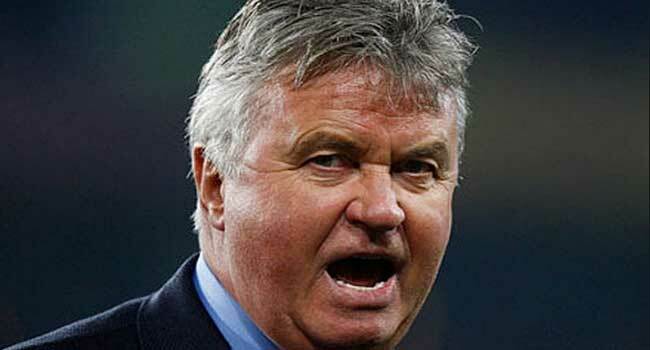 Hiddink is perhaps best known for inspiring co-hosts South Korea to a shock semi-final spot at the 2002 World Cup.